The shutdown of the U.S. government since October 1 has impacted so many in devastating ways. Also caught in this needless madness is the now halted progress of legislation passed by the House on Sept 25 that could lead to the Delta Queen being permitted to return to cruising America’s rivers. The bill must also pass the Senate when our elected leaders decide to continue the work we the voters hired them to do. In the meantime, the Delta Queen and its supporters count the days. 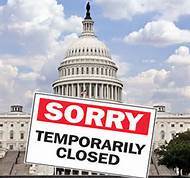 But even when Congress returns, the backlog of work will be tremendous, the cleanup of this mess will be massive, and the delays to so many projects could be indefinite. Arrrrrgggghhhh! contents are masterpiece. you’ve done a excellent activity on this subject!